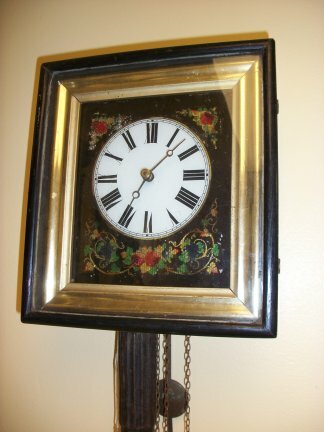 8 DAY WALL CLOCKS-796-German made 30 hour time and strike wooden slat works. 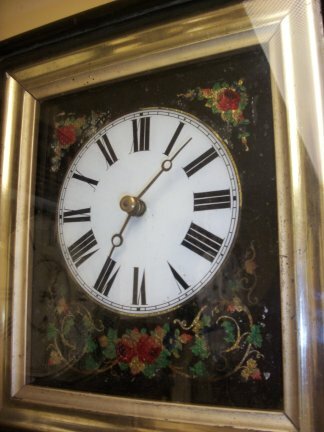 This is a very early German made "wooden slat works" made by the Schwartzwalter clock company. It is time and strike on a gong. It has a "picture frame" construction, where the door opens to the face. 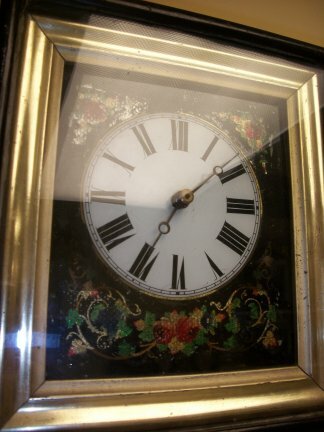 The face is reverse painted on glass and is in great shape. Another view of the face.